Beyond the traditional and digital marketing, the mobile marketing, finds all its importance thanks to the succession of smartphones and tablets. Why to opt for the mobile marketing? The era of the communication is past. Several mobile supports are from now on at the arrangement of the consumers to facilitate the communication with them. The mobile marketing so turns out an effective alternative to increase the fame and the visibility of his company, its mark, its product and/or service. The SMS campaigns allow to develop his brand image. Indeed, the SMS remains a real lever generation of traffic to acquire new customers. This mode of communication offers numerous possibilities to target better the consumers, the sending of discount coupons in the special offers, via the temporary promotions. 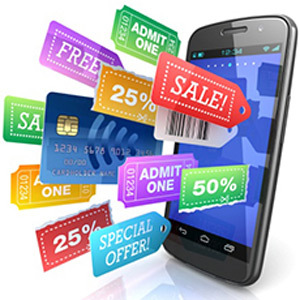 The mobile marketing presents several advantages not insignificant for companies. Besides the customer loyalty development, he allows to supply information useful for the consumers. Indeed, the announcer has to arrange a telephone number of his customers, his members or his subscribers so that these communications strategy is effective. Although the reactions are massive and almost spontaneous with an SMS campaign via a mobile telephone, it is advisable to engage adequate and complementary steps by means of the other digital platforms like the mobile site or the digital applications. The means: a campaign of SMS PUSH WAP, online publishing of a mobile web site Coca-Cola or of a site up, a sending of the movie by video MMS space buying about Internet portals mobile. 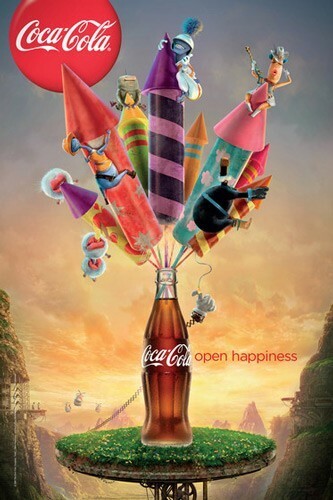 By these opportunities, the brand Coca Cola to be aroused of one million contacts, mobile Internet users anchored at its signature. How to make a success of a mobile marketing strategy? Often proposed by communication agencies, the mobile marketing must be developed into a professional and aware way. Already, it is necessary to have a database, including the contacts of the announcer to facilitate the customer prospecting and affect a vaster and more very precise target. Then, communication mediums must be rather varied than to limit themselves to the communication on mobile. Beyond the choice of tools to be used, certain rules also need to be respected in mobile marketing, in particular the hour of sending of SMS. It is better to inquire or to call on in professionals before throwing his SMS campaign. If you are all clear with mobile marketing, it might be time to go the extra mile and check if your email strategy is compatible with mobile technologies: "making sure your emails are adapted to mobile devices". Passionate about the Marketing of company and exclusive contributor on the site to saisie.fr - I mentioned this topic to show to the followers of the company that it is completely possible to benefit from the mobile by adopting the strategy bound in this connection.